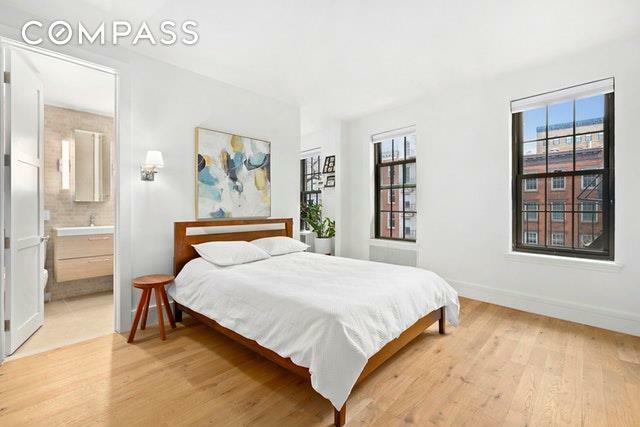 A meticulous combination of 3 apartments in the fabulous prewar elevator cooperative, 56 Jane Street, 3A/B/H is an expansive 2 bedroom 2.5 bath corner apartment with beautiful finishes and triple exposures to the north, east and west. 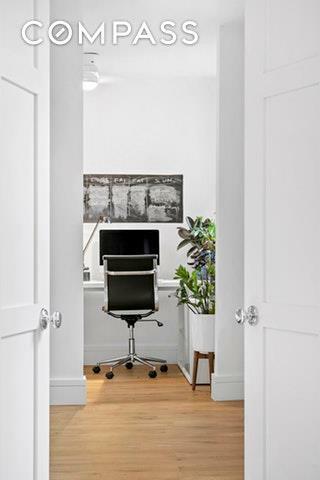 This extensively gut-renovated home in the prime West Village enjoys abundant natural light and charming views, with 35 feet of frontage (6 windows) on Hudson Street and 58 feet of frontage (5 windows) on Jane Street. The gracious living space enriched by hardwood floors boasts a modern open-concept layout between the airy living/dining area and the corner windowed kitchen for seamless entertaining. The cook will be inspired by the kitchens clean lines and fine design enhanced by custom cabinetry, stainless steel appliances, and a large breakfast bar. 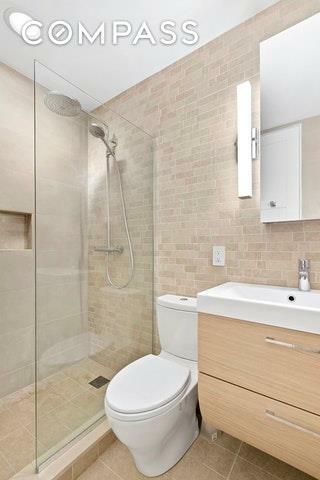 A half bath, conveniently positioned between the living room and kitchen, affords easy access for guests. Bedrooms are light filled and generously sized with ample closets for storage. The well-proportioned master suite can comfortably accommodate a king-size bed and separate sitting area, plus features a windowed office/nursery and lovely tiled en-suite bath with a glass-enclosed shower. The second king-size bedroom, brightened by 3 windows, offers a spacious walk-in closet with 2 windows, and a sleek private bath with a glass-encased tub and shower. 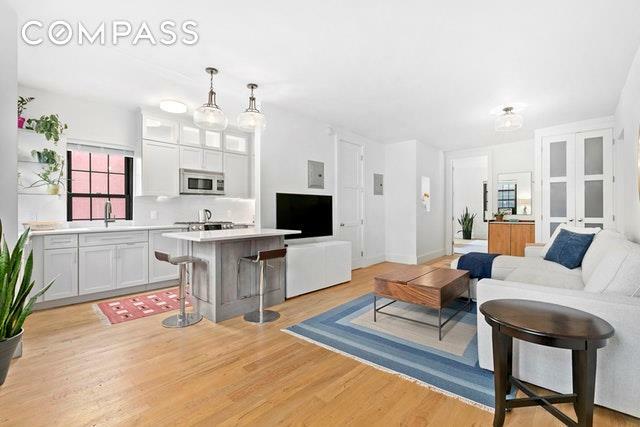 An in-home washer/dryer provides desirable laundry on demand.Built in 1911, 56 Jane Street is a handsome prewar elevator co-op on a picturesque tree-lined street, in the heart of the West Village. The building has a live-in super, video intercom system, laundry room, bike room and private storage. Residents receives key to the enchanting Jane Street Garden located on same block! The excellent location is surrounded by fine restaurants, bars, and attractions including Chelsea Market, the Whitney Museum of American Art, the Highline, Village Vanguard and much more. Several subway lines, like the A, C, E, L, 1, 2 and 3, are within blocks. Pets, pied-a-terres, parental assistance and guarantors are permitted at 56 Jane. Subletting is allowed with board approval after 2 years of residency. Listing courtesy of Thomas Lee of Compass.